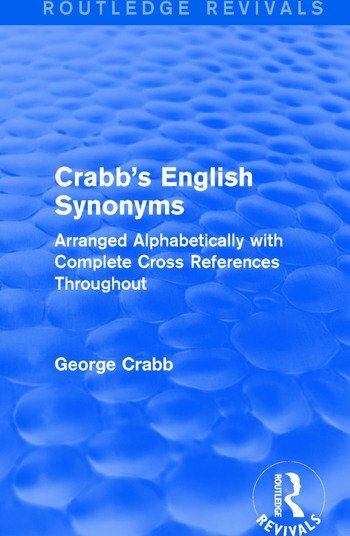 First published in 1816 and revised in 1916, this edition of George Crabb’s English Synonyms contains the entirety of his most enduring work. The revised edition is supplemented by a large number of words, the applications of which had grown into the language in the preceding years or had taken on a deeper significance in light of the First World War. It also contains comprehensive cross-referencing, which brings closely related words together and facilitates the quick location of a desired term.